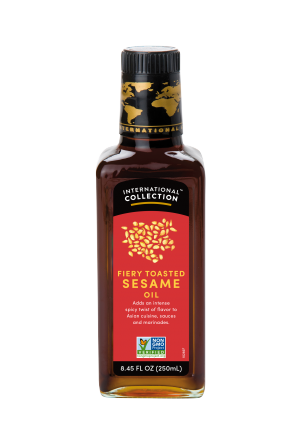 An exciting twist on the classic finishing oil, our Fiery Toasted Sesame Oil has an added kick of chili to bring heat to the warm, nutty flavor of the seeds. 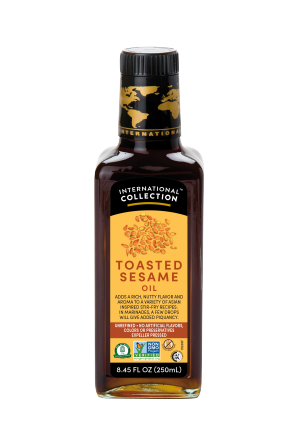 Used to enhance flavor in Asian, Middle Eastern and African cooking, toasted sesame oil has long been an essential ingredient in the creative home-chef’s kitchen. 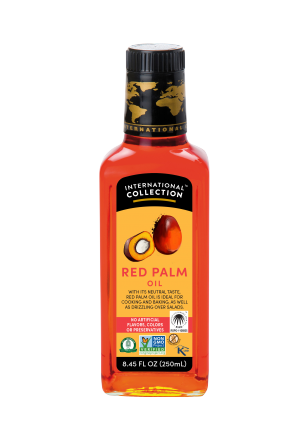 We’ve added some heat from natural chili to the deep, distinctive flavor of toasted sesame, to bring an extra dimension to dishes – drizzle it over cooked noodles or stir-fries, add it to meat just before serving, or mix it into a delectable dressing for salads and pasta.